Last week, the Department for Transport finally admitted that more ancient woodland – which has been continuously wooded since 1600 and is therefore irreplaceable – than they had previously thought was affected by building HS2, taking the total up 14 from 83 to 97. This had followed research and lobbying from the Woodland Trust, leading Natural England to add additional woods along the HS2 route to their Ancient Woodland Inventory. The previous estimate of damage was that 32 hectares of ancient woodland will be lost along the route of Phase 1 alone. The Woodland Trust estimate that another 12 hectares will be taken. “Whilst we are pleased that more rigorous assessment means that the true value of these woods as vital and precious habitats is now being recognised, it is surprising that they were not better surveyed by HS2 much earlier in the process. This clearly raises some questions about the timing and value of survey work carried out on Phase 2. 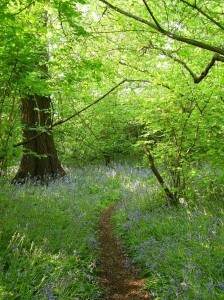 The full list of woodland can be downloaded from the Woodland Trust website.